Canada’s 150th birthday year is almost upon us! 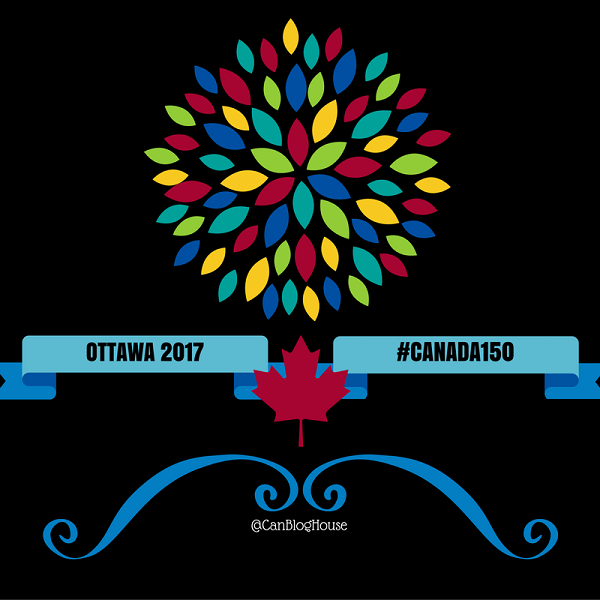 Here in Ottawa, things are ramping up with all kinds of exciting events planned to celebrate #Canada150. Of course, Canada’s Capital is starting off 2017 with a bang on New Year’s Eve, with a huge family friendly celebration on Parliament Hill that will include some extra-special surprises! These New Years’ Eve celebrations are just the start of a great year to come! I’m feeling pretty lucky to be living in Canada’s Capital at such an exciting time in Canada’s history. I can’t wait to watch the next year unfold, and hopefully take part in many of the celebrations! 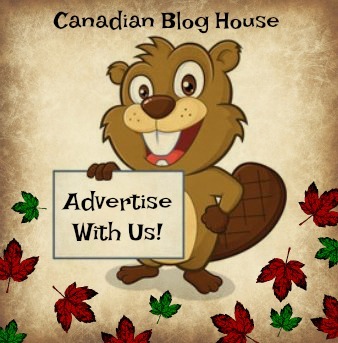 That’s why I recently created a post that highlights where you can find Canada 150 information for all the great events and initiatives happening right across Canada in 2017. No matter the problems we may have here in Canada, we live in one of the best countries in the world. We are lucky to live here, and to be able to call ourselves Canadians. So, wherever you may live in Canada, make sure you get out to celebrate! There’s no better time than in 2017! 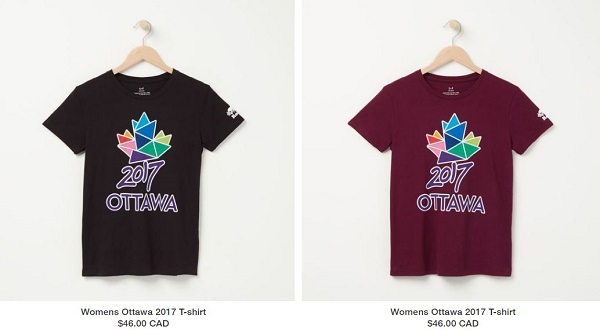 If you haven’t checked it out yet, you really need to look at all the fab Ottawa 2017 merchandise available from ROOTS Canada (the official clothing sponsor of Ottawa 2017). If you’ve ever owned some ROOTS clothing you will know that the quality is second to none. At least that is our experience. I love their clothing! 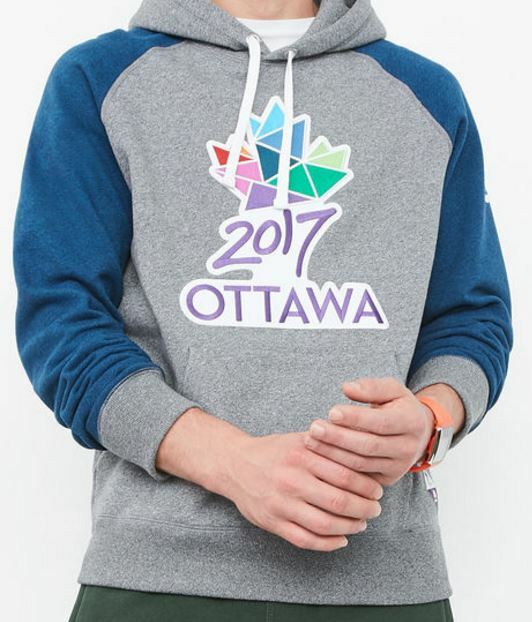 I also love the Ottawa 2017 logo. The colours just pop! If you are wondering, yes, I did in fact order the men’s sweatshirt for myself. I just happen to like the blue version more, so I ordered mine in a man’s small – and it fits me perfectly. 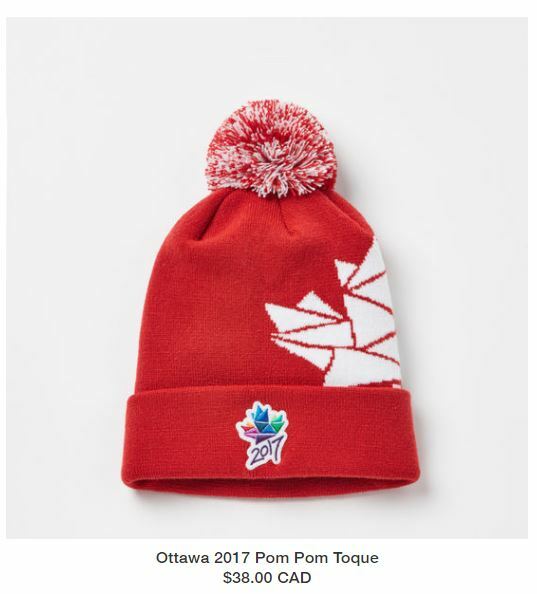 AND… just today, I went back to check on the merchandise and see that they now have a gorgeous Ottawa 2017 ROOTS jacket and Banff bag. I may have to talk to Santa about those!! 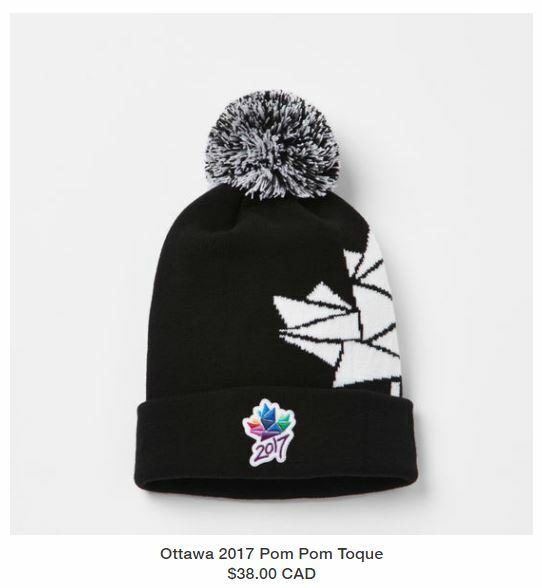 I love the Ottawa 2017 merchandise so much that, I just have to share a little of my Ottawa pride with you! 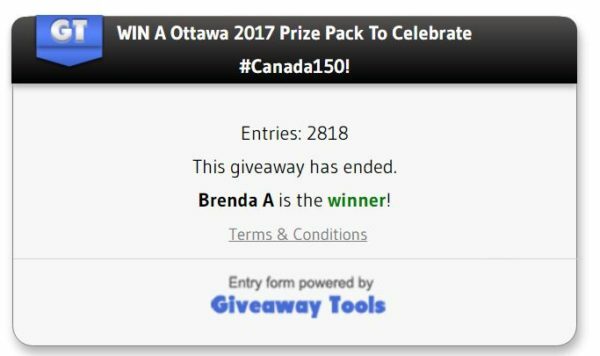 To say thanks to you, our wonderful readers, in appreciation of all your support of this blog, we are going to bring a little bit of Ottawa 2017 to one lucky winner here at Canadian Blog House! We want to help you kick off 2017 in a fun way! You could WIN a Ottawa 2017 ROOTS Prize Pack! Total value of this prize pack is $98.36 (based on selection of men’s t-shirt). So that’s ONE Ottawa 2017 T-Shirt of your choice, ONE Ottawa 2017 Baseball Cap OR Toque of your choice, plus one large Ottawa 2017 Window Decal and one Car Decal, that one of you is going to WIN! Wishing you all happy holidays and be sure to check your emails on January 1st, 2017 to see if you are the lucky winner!! Disclosure: This post is not sponsored. 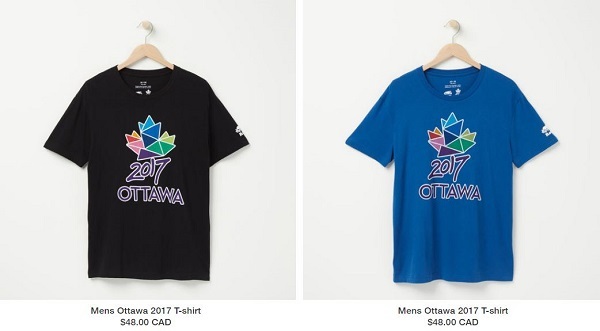 We are simply sharing our excitement about Canada 150 and Ottawa 2017 celebrations, and our love of ROOTS clothing. All opinions are our own. Oh gracious! We plan in attending as much as possible! My whole house is booked up for Canada day week with my whole family! Can’t wait! I visit Ottawa every day, as I work there, but live just outside of it. I’m a proud Canadian, because it has so much to offer….beautiful vacation spots, health coverage, freedom….what more can I ask for! I would love to but unfortunately I don’t think we will be. I won’t be travelling to Ottawa for the celebrations next year. I am always proud to be Canadian because we have such a beautiful country. 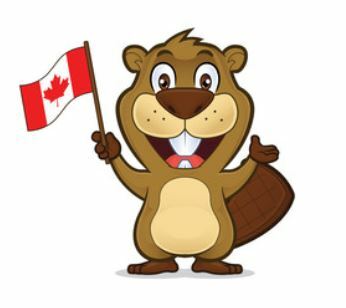 I do plan on visiting our capital for Canada day celebrations as well as my own small town celebrations.I am proud to be canadian where we are free and able to have such grate celebrations. I would love to go to Ottawa, but such a large trip is not in our plans for next year. Yes, I’d love visit Ottawa a few times this year. I’m proud to be Canadian because this is such a beautiful country with wonderful people. I’d like to take my family to Ottawa this summer to see parliament & tour around. I’m proud to be Canadian because of our inclusive ness. We live in Ottawa so I will be enjoying the activities.I am a proud Cnadian. I would love to visit Ottawa for the celebrations next year. But it is not in the cards So I will be enjoying celebrations next year in B.C. I would love to. We live 2 hours away but we might be moving around Canada Day. 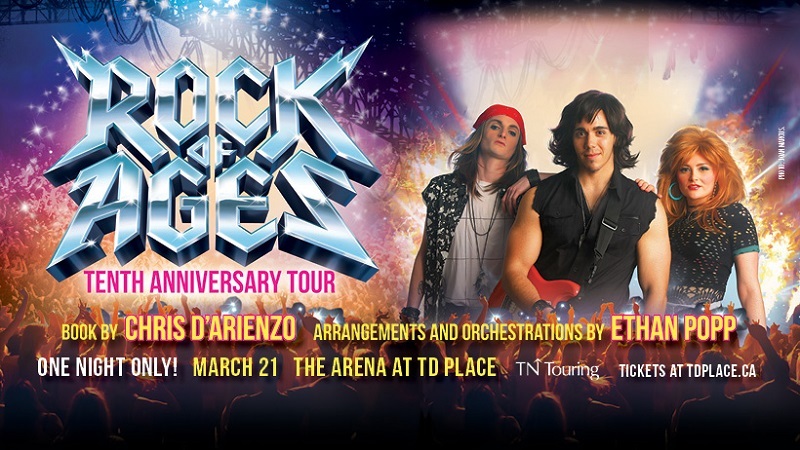 I’ve been wanting to get the boys to Ottawa for a couple of years now, this would be the perfect time! We are very proud Canadians! I am very proud to be Canadian because of so many reasons. It’s a stunningly beautiful country with so much to see and do. We have the best standards of living. Our freedom speaks for itself. Canada is filled with mostly wonderful people… I would love to come out to Ottawa to celebrate Canada 150 years strong! We are hoping to! We live in BC but have family outside of Ottawa. I really want to be there! We hope to! Our summer vacation included a stop in Ottawa last year, we really enjoyed it! I am a proud Canadian because of our diversity. We might, we haven’t made any solid plans yet. I won`t be visiting Ottawa this year but I feel blessed to be travelling by car across 3 provinces this summer to attend a family reunion. I`m proud to be Canadian because I think we are beautiful country that is welcoming to all people. I love our diversity. 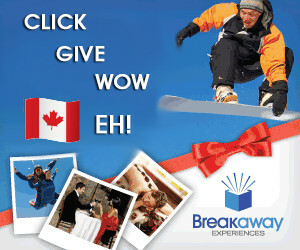 Would love to visit Ottawa but can’t afford:( I have 62yrs out of the 150 yrs in Canada Born & raised ! I have family in Ottawa so I may spend the holidays there. I am proud to be Canadian because I am proud of our nation’s values, e.g. diversity, democracy, environmental conservation. I won’t be going to Ottawa but I’m soooo proud to be a Canadian. I was born in 67 so it’s a big year for me too! I won’t be visiting Ottawa for the celebrations as far as I know. I just love being Canadian and often think about how lucky I am to be born here. I’m proud to be Canadian because I live in one of the best countries in the entire world. We are free, friendly and our country is beautiful. 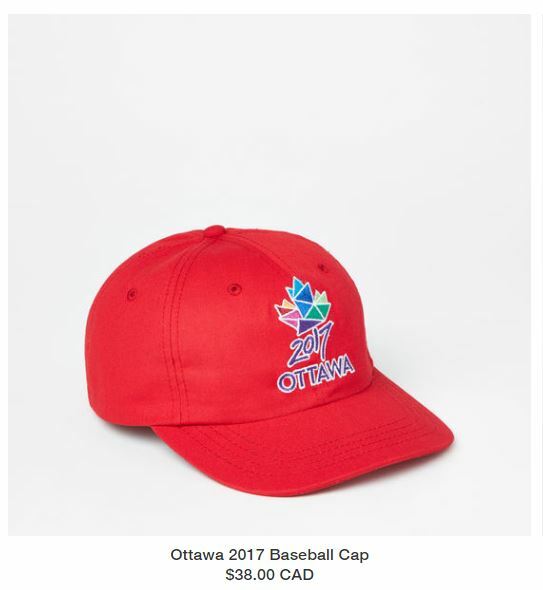 Since I live in Ottawa, I will be taking part in the celebrations! We are going to try to visit Ottawa for some of the events and what I love most about being Canadian is that (for the most part) we are considerate and compassionate about others, we feel our responsibility as global citizens to try and do good. Yes, I will be participating in the Ottawa celebrations, I live in Kanata! I am proud to be a Canadian, because of freedom we have. Love the Red & White! I’m hoping to be there , really trying to win contests to send me there. I am unable to visit Ottawa but I am very proud to be a Canadian. I am proud to be Canadian because of the reputation we have for integrity,helpfulness and welcoming to the International Community. I live in Ottawa so I’ll be here for most of the year. Very proud to be Canadian! I WILL DEFINITELY JOINING IN FOR THE CELEBRATION, OTTAWA IS WHERE I AM. I HOPE IT’S HOLIDAY, so I will enjoy it with the family and my lovely dog. I’m hoping to get to Ottawa to celebrate Canada’s birthday, but haven’t made any reservations yet. I’m very proud to be a Canadian, because our naturally beautiful & resourceful country has the best reputation in the world as being safe, warm, welcoming, & peace keepers. I’ll definitely be in Ottawa in 2017, but whether I’ll be able to take in any events remains to be seen…I sure hope so! We are hoping to spend Canada Day in the Ottawa area this year so we can participate. I love that I am Canadian because we have a great country, I love the beautiful land we have! Hoping to get to some celebrations, but my husband hates crowds. I love Canada for its lakes and countryside and friendly people. I’d like to visit Ottawa for the 150th, as I have family there I could stay with. Being Canadian makes me proud to live in a country where individual rights are respected, and freedoms are defended. Yes, I will be in Ottawa celebrating 150 years. I am hoping to get to Ottawa at some point. I am proud to be Canadian because of our freedom and our integrity. No I can’t be there, so proud to be Canadian because of the people, the landscape and the freedom we are so fortunate to have. It would be nice to get to Ottawa in 2017, but we probably won’t get there. We’re proud to be Canadians because we have a free country. Yes, of course celebrate in ottawa.like I am proud to be Canadian because we are the best country in the world. Kind, accepting, and beautiful. I wish we could, we live in NB. It would be a trip to remember. I’m proud of how kind & generous Canadians are. i am hoping to be in ottawa for the celebrations, I love an proud to be canadian, because of our freedom we have. I think we will be celebrating from Calgary, and taking advantage of the Parks Canaada pass in the Rockies. I am proudest of our open immigration policies! I won’t be in Ottawa this year. I am proud that Canadians are diverse. I would love to visit Ottawa one day! I am proud to be Canadian because our country is beautiful and we have free healthcare. I would love to take my kids to Ottawa this summer, they would love it! I am proud to be Canadian because of our freedom to live life how we want to and also how beautiful our country is! 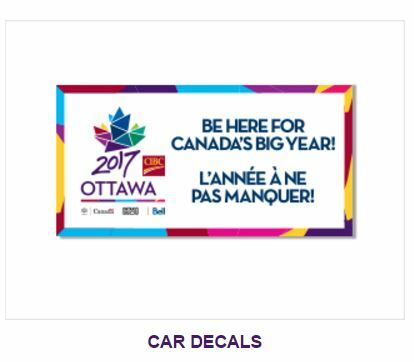 Visiting Ottawa in 2017 isn’t in our plans. I’m proud to be Canadian because we are kind, generous and friendly. I will not be attending Ottawa this year. I am proud to be Canadian because we have a beautiful, friendly and free country. Id like to visit Ottawa soon for the skating Ive never done.. but realistically probably more likely in spring or summer to visit family. We live in a beautiful free country with lots of nature and great, polite people. I’m lucky to live in Ottawa. Our tolerance and respect for freedom makes me proud to be a Canadian. I’m proud that as Canadians we have so much freedom. So, grateful to be Canadian. With everything you see and read around the world, I live in a freedom country. I have not been to Ottawa since I was a little girl briefly with my parents, so I must visit soon! I hope to get there I’m proud because we are so lucky to be free! I am proud because we brave the winters and are good people!! I live in Ottawa so I will be here for the celebrations. I live in Ottawa so yes, I will be attending some of the celebrations. I love how kind and accepting Canadians are. If we lived closer, we definitely would as we are very proud Canadians! Probably not. But that is so cool!! I am a proud Canadian because of our diversity, our wonderful nature and freedoms. I will definitely be going to Ottawa as I grew up there and my parents still live there. I am proud to be Canadian because not only is the land beautiful but so are the people. Canadians are amazingly kind, accepting and tolerant. Would love to attend the 2017 celebrations in Ottawa. I’m proud to be Canadian since we are known to be so friendly around the world. I’d love to visit Ottawa! I love our people-so warm and friendly. I’m proud to be Canadian because of the people. I wish I could be there. I am proud to be Canadian because of the freedoms we have in our country. I might be in Ottawa around the summer of 2017 to visit my grandparents. I am proud to be a Canadian because we have so many freedoms here, financial help, healthcare, transit, & a respectful government. 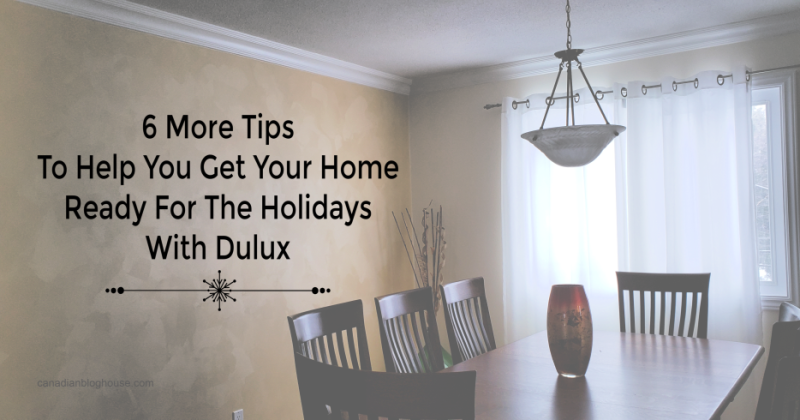 Getting to Ottawa is on my goal list…this sounds like the year to do it! I hope we’ll get to celebrate the big 150 in Ottawa! Pride is the best word/feeling that I have about being a Canadian! I will not be one of the lucky ones attending the celebrations in Ottawa. I am proud to be a Canadian because we believe in free speech, equality for all and it is such a diverse landscape from the Atlantic to the Pacific. I’m proud of our multiculturalism and yes I am planning to go celebrate with Ottawa next summer. No I will not because we are too far away. I am proud to be Canadian for the freedom we have and because our country is so beautiful. I’d LOVE to win. Roots is so classic and so Canadian — their designs are modelled after the founders’ experience at summer camp in Northern Ontario (they’re from Michigan). Wonderful way to commemorate this important birthday. 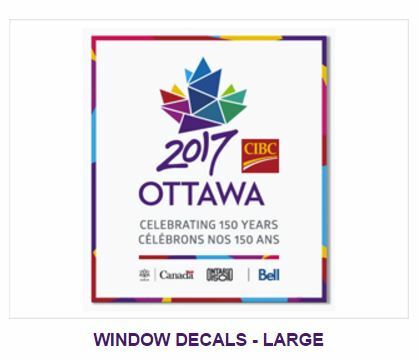 So happy that I live in Ottawa for the 2017 celebrations! It’s great to see all the things this community has planned. Canada is so full of pride that you just feel it everywhere you go. We are hoping to make the trip! Would love to be there! So proud to be Canadian because our beautiful diverse country and people! Since I live in ottawa I will be doing many activities around the city. I live in Ottawa so I want to try to take in as many activites as I can. I love the murals they are doing on various tunnels in Ottawa. I was hoping to get there, but then just saw that the Big Nickel in Sudbury is having a big thing so we may go and visit family there for that . So much fun stuff to do we will have to see . Would love to go to Ottawa though for at least one part of the festivities . I’m already in Ottawa it’s my home town and oh yes I’m surely attending the events this year. What I love about canada is our freedom, healthcare, Beavertails, skating on the longest skating rink or walk it and it’s such a beautiful country to live. I’m hoping to attend the celebrations in OTTAWA!! I’m thinking of a short trip to Ottawa but it’s not definite yet. I’m proud of our amazing people, culture and landscape! I am from the west coast so will not be attending any celebrations in Ottawa but the choir I belong to will joining in the celebrations out here on the west coast. No plans yet to visit Ottawa, but it’s a great idea! I am proud to be Canadian when I walk the clean, nature trails, when I breathe the clean air and see the sun in our blue sky, when I am able to attend the church of my choice without government interference. I just might take a trip to Ottawa in this big year…what makes me proud to be a Canadian is how kind and inclusive we are – we help other people not because we get anything out of it, but because it’s the right thing to do! Plus our country is so beautiful and diverse. There are so many things, it’s hard to pick one, I feel like I’m not patriotic if one of our teams are in a playoff game and I don’t watch it. I’m proud we are a welcoming country and have acceptance of others. I’m proud that we have great people. No I wI’ll not be in Ottawa, our freedom makes me a proud Canadian. Ottawa is a fantastic place, and no doubt will host an event befitting of 150 year celebration! I won’t be able to be in Ottawa but I am thankful for our health care system that is free. Most of the nurses and drs I work with are phenomenal. Yes, I will be participating in the Ottawa celebrations. I’m proud to be Canadian because Canada is such a beautiful country with wonderful people.